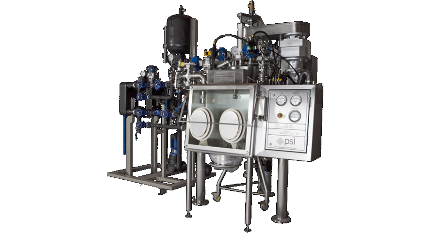 PSL’s agitated nutsche filter dryers (ANFD) are innovatively designed and engineered to a highly ergonomic and efficient standard. Over 25 years experience provides refined filtration and drying performance along with high levels of safety and quality that meet all industry regulations. PSL’s agitated nutsche filter dryers (ANFD) feature a differential mixing agitator. The filter drier agitator consists of a series of sharp curved blades that achieves penetration into difficult cakes without undue product stress. When moving and lifting the cake product between the gaps within the filter drier agitator efficient mixing by differential velocities is achieved. The engineering team and process experts draw on their experience to provide a full range of agitated nutsche filter dryers (ANFD) including standard filtration and drying equipment.